Create a dramatic door frame without complicated joinery. 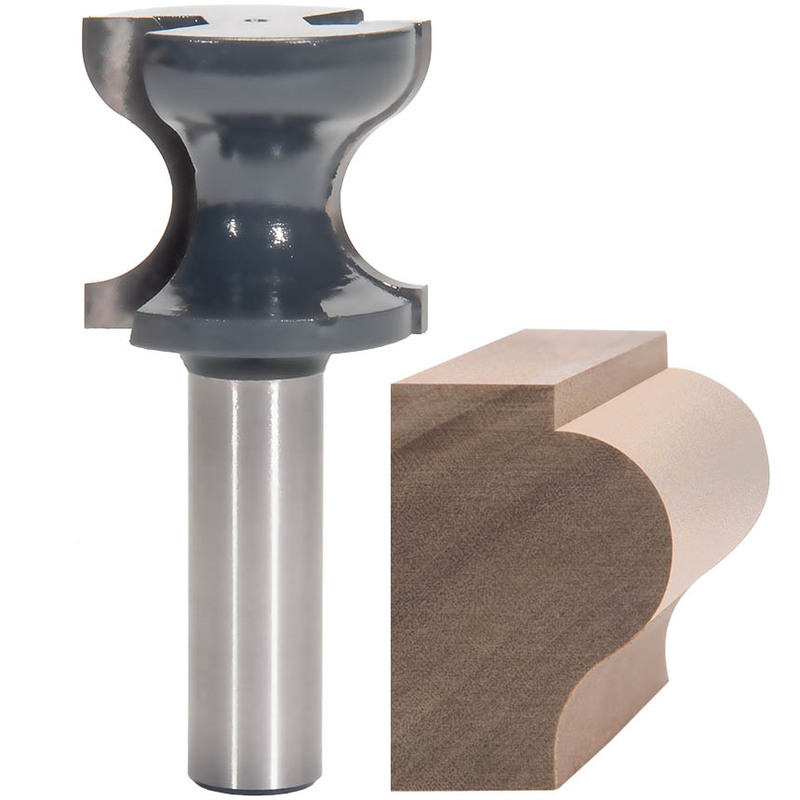 These versatile carbide-tipped router bits create a dramatic door frame without complicated joinery. Use these bits to create those beautiful outside edges on door frames, drawer frames and window casings. Can also be used to create mirror and picture frames, crown moldings, chair rails or other decorative trim. Use a slot cutter to make the slot for raised panels or a rabbeting bit to make glass doors, picture frames or mirrors. Bits are designed to work with stock up to 3" wide. All bits two-flute, carbide-tipped, 1/2" shank with bearing guides and feature anti-kickback designs. Includes item #P14-3653 (Door Frame) and #P14-3666 (Drawer Frame), PLUS Merle Clamp #415-9012. Save $40! 1/4" 1-1/2" 1" 3-1/2" 1/2"
7/16" 3" 1-1/2" 4-1/2" 1/2"
15/16" 2-13/16" 1-5/8" 4-1/4" 1/2"
1/2" 2-11/16" 1-1/2" 4-1/8" 1/2"
5/16" 1-1/2" 1-3/16" 3-1/4" 1/2"
1/2" 2-1/2" 1-1/2" 4" 1/2"
COMBO VALUE SET! SAVE $40!